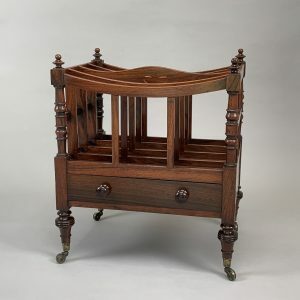 A George IV rosewood boat shaped Canterbury. 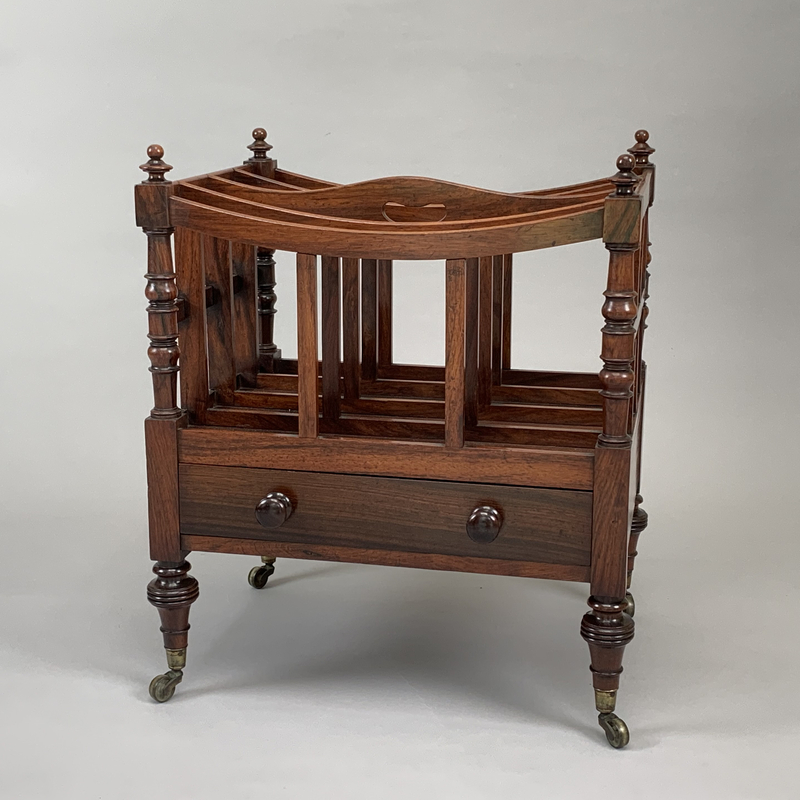 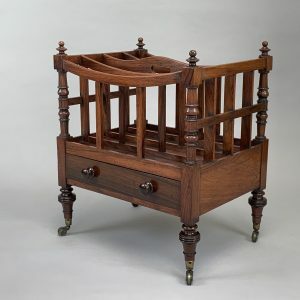 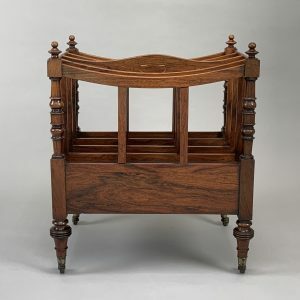 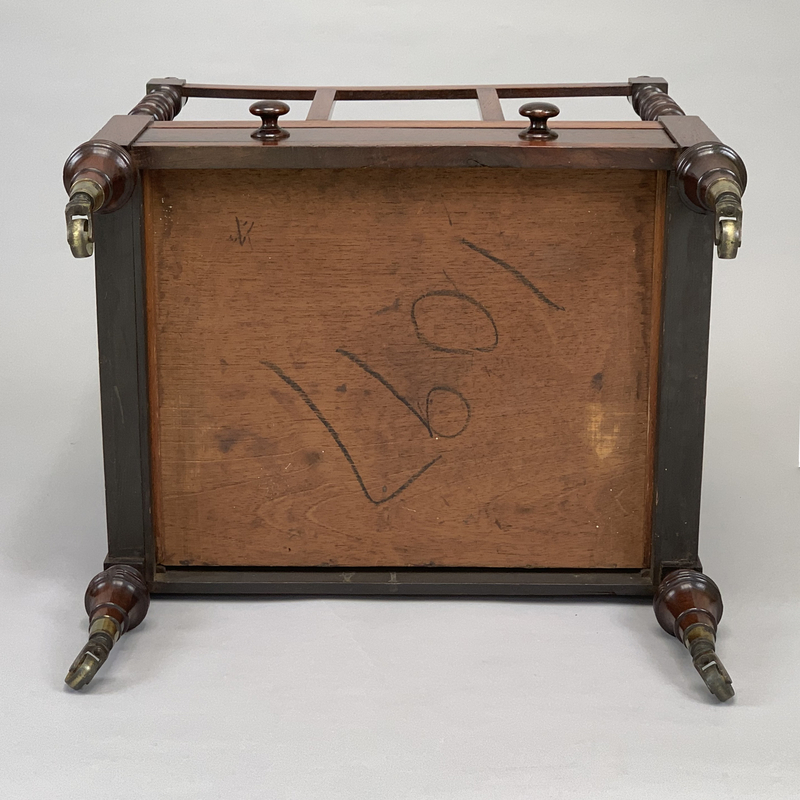 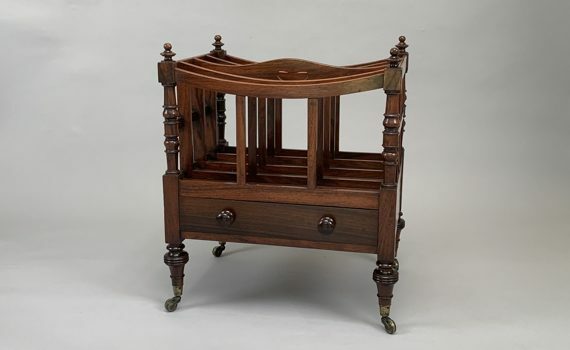 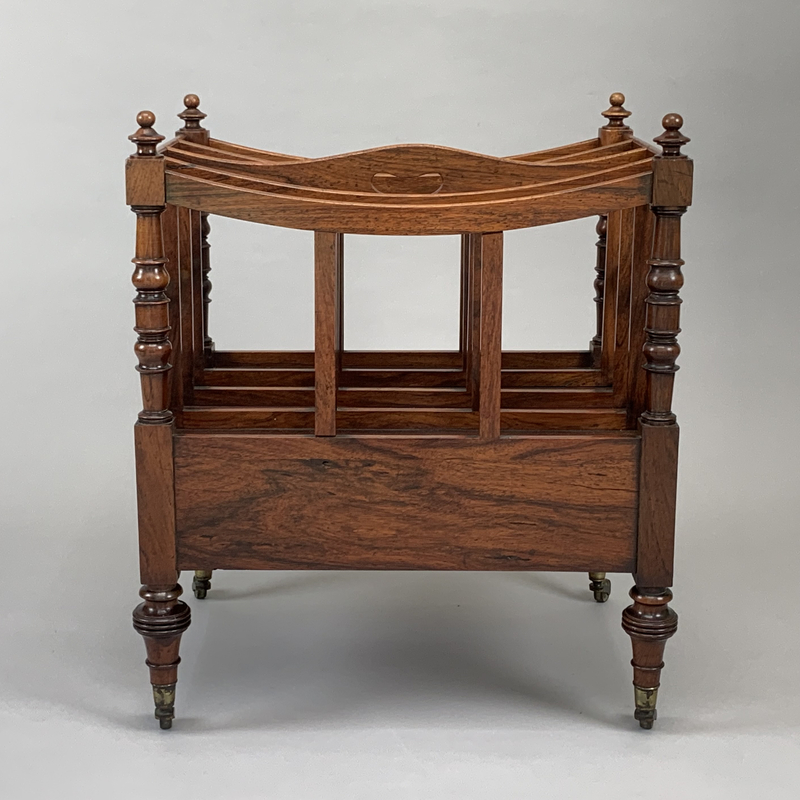 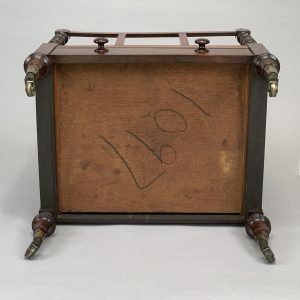 Of rectangular form with four divisions and pierced carrying handle, the ring turned uprights with turned finials, a mahogany lined drawer to the frieze raised on turned supports with original brass caps and castors. 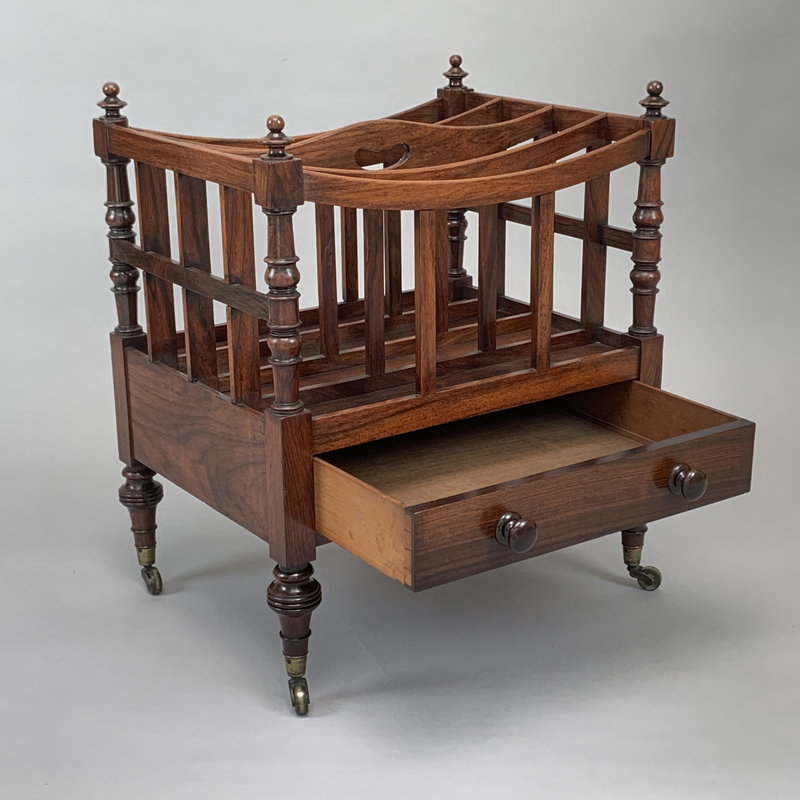 Turned rosewood pulls to drawer.